This week’s Teaser Tuesdays is another classic I’m reading for the first time- Alice in Wonderland (actually 2 novels- Alice’s Adventures in Wonderland and Alice Through the Looking Glass). I have been wanting to read Alice in Wonderland by Lewis Carroll for some time but somehow never got around to it. I wasn’t that into fantasy as a kid so didn’t really bond with the animated film or have a desire to read the book. Now as an adult I love the animated film and am reviewing it on my youtube channel on Wednesday. I am also reviewing the Tim Burton Alice in Wonderland which I hate and everyone kept excusing it because ‘it’s more accurate to the book’. I figured I better read it and decide for myself. Well, I’m delighted to tell you aside from character similarities there is much more in common with the animated film than the Burton. I found no chosen one, prophecy, battle or anything of the kind! This week my sentence is on page 29 of Alice’s Adventures in Wonderland (Chapter 4- Advice from a Caterpillar). What I like about this scene is it pokes fun at the silliness of philosophy and people who think they are asking such deep and thoughtful questions when in reality it can be just as much nonsense as anything else. 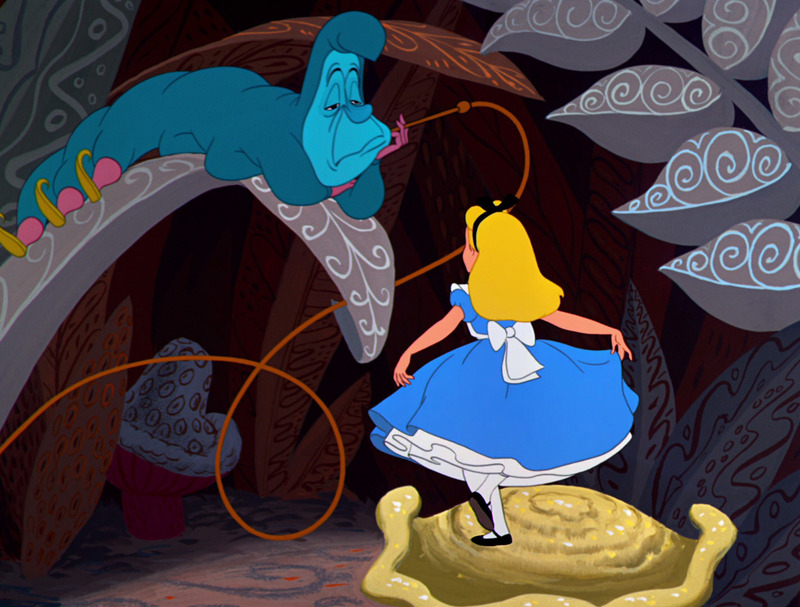 I was really surprised how much I liked Alice and Wonderland. For some reason I was expecting all the nonsense and whimsy to be a bit annoying in book form but I liked it. 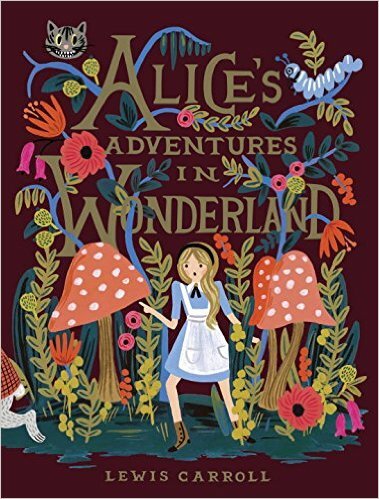 It’s charming and Alice is an inquisitive, curious character to bring us into this world. It’s really more a grouping of short stories more than a traditional narrative and I liked that approach. Through the Looking Glass has a little more structure with the chess pieces and the queens, but I liked meeting all the characters and hearing their stories. There’s a lot of humor in there and it’s just very enjoyable. I can see why it is a classic and a favorite of so many people. I really liked the inventiveness of Wonderland and not knowing what kind of story was coming around the bend. Was it going to be the Queen of Hearts playing croquet, a Dodo in a caucus race, or Humpty Dumpty having his great fall. It all clipped along very well and was engaging and funny. I think it holds up quite well. Like I said, I liked it much more than I thought I would. Recently he posted a tag he found from a blogger named Kristen P, I thought it looked like fun and I’d give it a go! Definitely standalones. There aren’t that many series that I love. I find usually the quality goes down with each entry. I’d like to meet the person that this matters for. I guess if I was forced to pick I would go with female because then I could read Elizabeth Gaskell, JK Rowling, and Jane Austen. Amazon because I’m lazy and don’t want to leave my house. As a movie fan I go with movies but there are some good miniseries from books like all the Austen series. Still, those feel like long movies rather than TV shows, so I’d still say movies. It’s hard to think of good prime time shows that are based on books? 5 pages a day I’m afraid although I would miss diving into a book and binging on it. 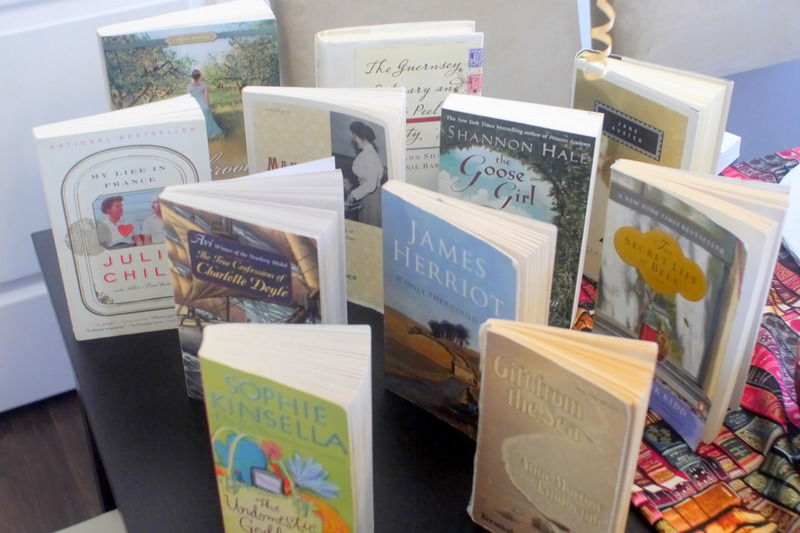 I just like savoring books rather than speeding my way through them. Hmmm…this is a tough one. I guess I go with reviewer because it would take what I already do but make it my profession. That wouldn’t be half bad. I have dabbled in writing with this blog and nanowrimo but am probably a better critic than author. I think librarian because you’d get to help kids more, introducing them to great books. But all the quiet, all the time would be a little annoying. My favorite genre but then again I’m not a huge genre purist. I think many books fit multiple genres so I think I could sneak my way into other genres with that excuse. Would you rather read your writing aloud to a roomful of loved ones or strangers? It’s so weird but strangers. You have to live with the your loved ones so if they didn’t like it that would be so awkward. Definitely physical books as I do not have an ereader yet. But I do listen to a lot of books so that might be my true pick. So that is the tag. If you’d like to do it please do! It’s a lot of fun. Today is the day I get to see the new Batman vs Superman movie, and despite not being a hard-core fan I’m very excited. My hope is the movie will focus on the heroes more than the typical Batman movie, which tend to be very villain-centric. Are you excited for the film? I would love your thoughts on both of those posts. Which Superman and Batman movie do you like the most? Over on my youtube channel as part of Family Movie Night series I took a look at the old Adam West Batman: The Movie from 1966. It’s often looked at as ridiculous and stupid but I don’t think that is fair as it is supposed to be a comedy. 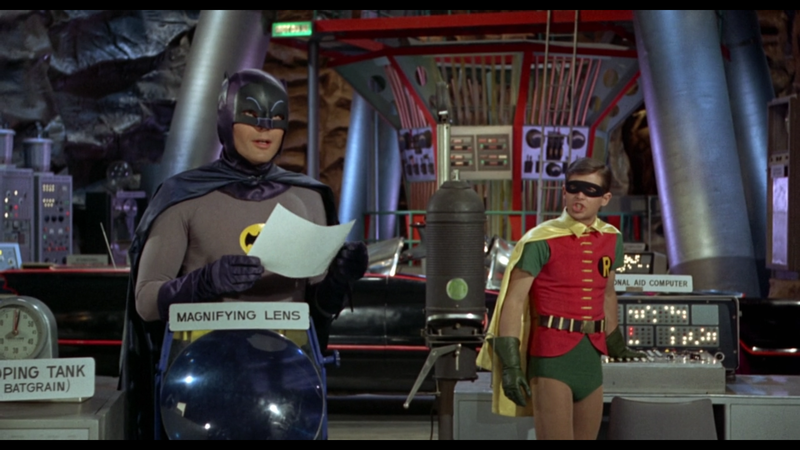 Adam West is very dapper and charming as Batman/Bruce Wayne. The villains are a lot of fun and I love how everything is labeled. And then for this week I took a look at Superman: The Movie (1978) and Superman 2 (1980). I didn’t feel the 1978 film held up that well. It takes so long to get everything going- an hour before we see Christopher Reeves, who is so great as Superman. I loved him and Margot Kidder as Lois Lane. I thought they had excellent chemistry. This is why I liked Superman 2 much better because they get a lot more screen time. Plus, I think Zod is much better villain than Gene Hackman’s Lex Luthor. I would love to know your thoughts on these films and the franchises in general. It’s been a lot of fun looking at all the different takes on such iconic and popular characters. It’s kind of like Christmas Carol in a way. The same basic story and framework can run the gambit of emotions and styles depending on who is doing the storytelling. If you think my videos are any good give them a thumbs up. Thanks!